A sample of the endless possibilities. Beautiful and very rare dinning set designed by Niels O. Møller. 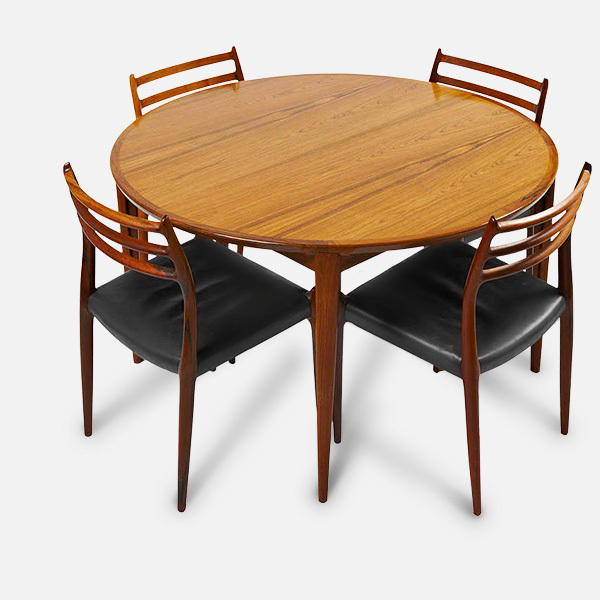 He created some of the most adored designs in 20th c. Danish furniture. Møller completed his apprenticeship as a cabinetmaker in 1939 and then continued on to study at the design academy in Århus, Denmark. In 1944, he founded J.L. Møllers Møbelfabrik A/S, a company for which he produced designs and managed the production. A wonderful classic modern set designed by Dieter Waeckerlin for Behr in the 1960's. It impresses with its pure shape and elegant design. In addition, it offers a lot of storage space with many extras such as adjustable boards, drawers and a mobile beverage cart. 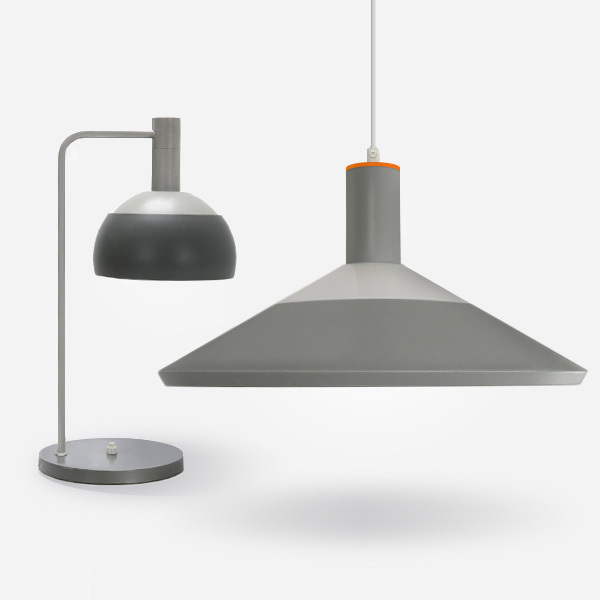 A rare table light designed by Finn Juhl (30 January 1912 – 17 May 1989). He was a Danish architect, interior and industrial designer, most known for his furniture design. He was one of the leading figures in the creation of "Danish design" in the 1940s and he was the designer who introduced Danish Modern to America. 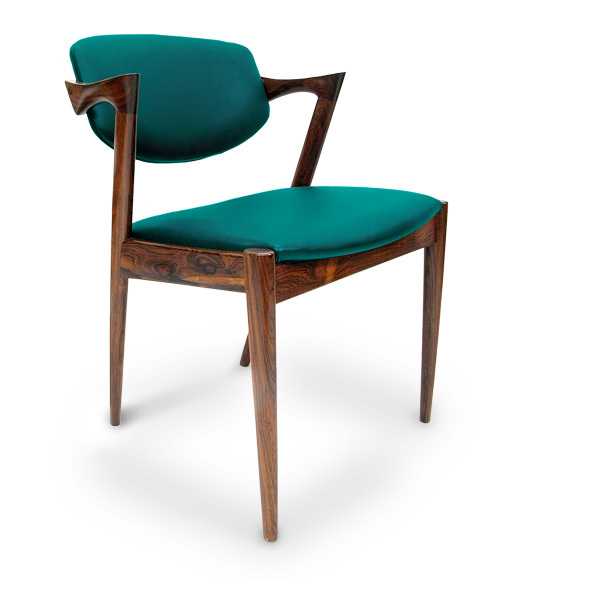 When you look at the graceful shapes and sensual curves of Finn Juhl's work, you may be shocked to realize that he designed these pieces 60 to 70 years ago. There Is Always Room For A Little More. 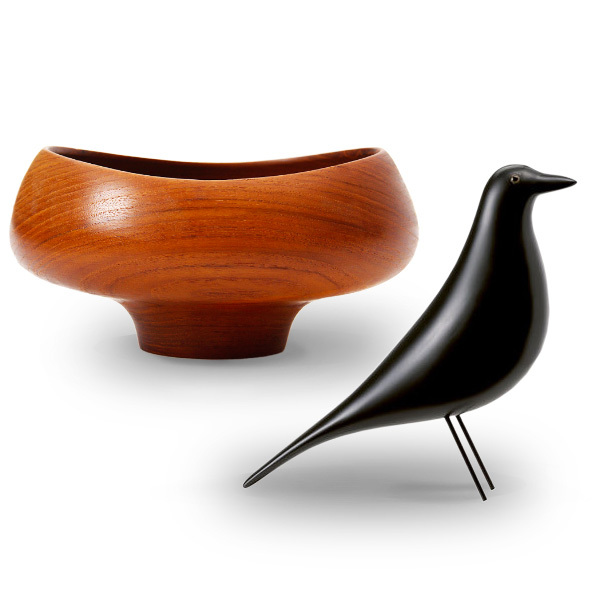 The figure of a black wooden bird designed by Charles and Ray Eames - evidently one of their most prized objects of American folk art - has stood in the center of their living room for over fifty years. The Eameses were a husband and wife team whose unique synergy led to a whole new look in furniture. Lean and modern. Sleek, sophisticated and simple. Beautifully functional. 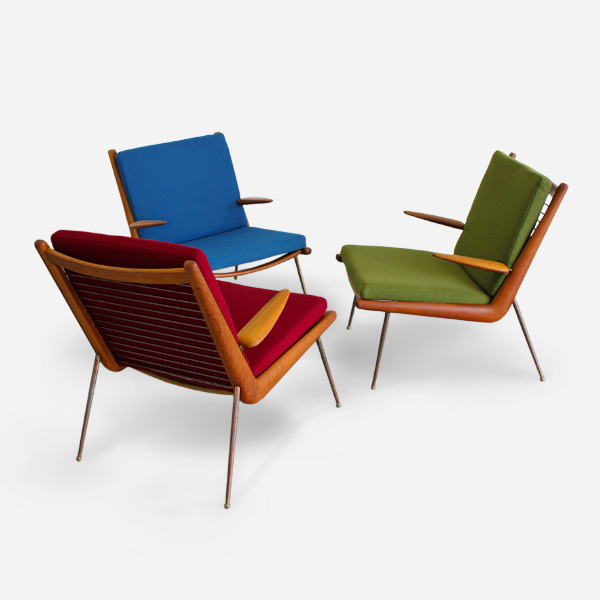 A trio of Peter Hvidt's Boomerang Chairs is a sight worth seeing in person. Hvidt was born in Copenhagen in 1916. After completing his training at the Design School in Copenhagen, he worked at various design firms before setting up his own studio in 1942. In 1944 he opened the Hvidt & Mølgaard studio which he ran with Orla Mølgaard-Nielsen until 1975. They created a number of pioneering sets of furniture using a laminated technique for production by Fritz Hansen. 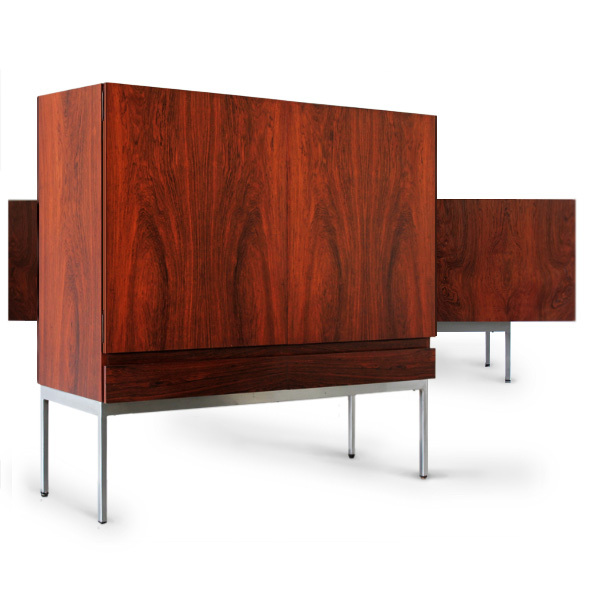 The chairs were specially designed for export, economizing on space and packaging requirements for transportation.